We have recently had to go to Carei (Nagykároly), where we had to spend half a day waiting for some personal stuff. The town is not large enough to easily find anything to spend time with, but luckily there is one thing that stands out and is certainly something which should not be missed. 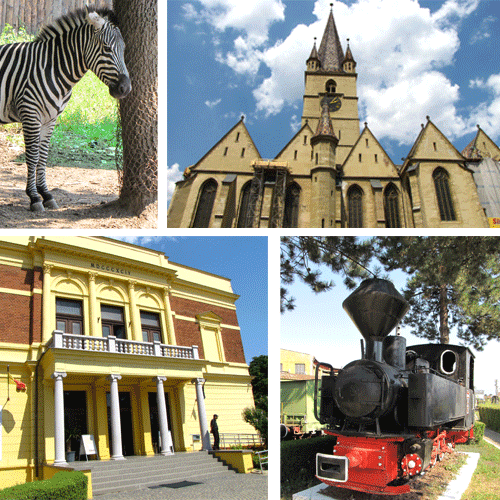 The central park of Carei is dominated by the Károly Castle, which has recently been renovated. It now acts as a museum open to the general public. The opening hours are between 9:00 and 16:00 (I think) so at around 10:00 we were well within visiting hours. The castle is almost entirely open, on both floors with a museum of the town on the ground floor and a furnished second floor, showcasing the castle’s old interior. Also there was a temporary exhibit dedicated for hunting. I have been puzzled whether I should write this post or not. Then, I thought, if I do not do anything, then I can consider myself as one of the people who contribute to this situation. There is a small chance, that someone who can actually do something about this will actually read my post, but hey, it is better than nothing. So what is the story about? Well, it is about how a certain bank made a fool out of me today. 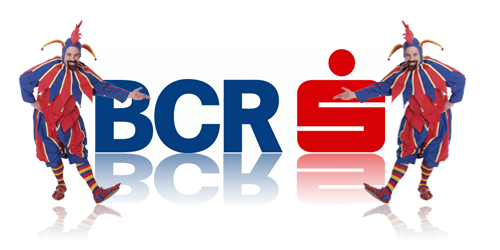 It so happens, that I had some things to take care of at BCR (the biggest bank in Romania). Unfortunately, I rarely find the time to do such things personally during workdays, because I do not have that much free time. Today, however, I had a little more spare time, so I decided to visit the banks nearest office. The target office was a 10-15 minute walk away from my workplace, so I decided to go on foot. After a 15 minute walk, however (uphills), I arrived at the bank, but sadly, the operator told me that the lady responsible for the operation I needed to do was not working that day, and nobody else (!?) could do that task instead of her. I said to myself, no worries, I will just walk down to the second nearest office (a 20-25 minute walk) and handle everything there. After all, these things may happen to anyone. Surprise, surprise: after arriving to the second office, another lady told me, to come back in 10-15 minutes, because the lady who is responsible for the operation I needed to do was just out, and nobody else (again!?) could do that task instead of her. This was more than a coincidence… was the bank fooling around with me? – Most clients, who have money, work all day long, and there is a high probability that they will pay a visit at lunch-time (not when they are also working), so… do NOT leave the front desk in that period. – And finally: do try to open up your offices next to busy office-buildings (e.g. Sigma center in Cluj) like other banks do. I was not able to finish the story-series of our holiday (I will tell in another series, why), so I am writing this last entry about our final stop of our vacation period just to put the dot on the “i”. The final stop was in a familiar city for me, a city about which I have already written a blog entry: Sibiu. This time, however, I have discovered some other things to visit there apart from the classic stroll around its remarkable city center. First things first, I have to tell where we stayed at. The place is called Casa Verox and it is a small family pension in a quite OK neighborhood close to the city center. Also the prices are OK and for it we have received a very good service. I was also able to park the car inside the courtyard. After checking in, the first target to visit was the city center. At first we wanted to visit the Brukenthal Museum, but we considered the entry price of 32 RON (€7) a bit too high for the Romanian prices just to see some paintings. What was even more appalling, is that the price to make photos was astronomical (around 100 RON = €22). So, we have visited the quite deserted Museum of Natural History, where I think the entry price of 13 RON (€2.8) was much more acceptable. Here the photo price was also appalling (and we did not buy it), but at least we have seen something different than the usual paintings that are displayed at every museum one goes to. Another interesting place to visit in the city center, that I did not mention in my last post, was a climb to the city-tower for as little as 2 RON (€0.44). Here one can have a great overview of the entire city. Also photos can be made freely, making it ideal for photographers. There is one other museum which is hardly mentioned anywhere (I have found it mentioned in Wikipedia though…): it is the Museum of Steam Engines. Now, this museum is REALLY hard to find. There are no indications, no maps, just one address I have found on the net: Str. Dorobanţilor 22. The street, however, does not contain this number. Instead there is a little street between number 16 and 30 which is apparently still the Dorobantilor street and there, in the back (basically next to the railway lines), one can spot the entrance. There was, however, at the time of our visit, nobody there. No gatehouse, no nothing, just a phone number which I could call: it seems like the museum is so insignificant, that the guy at the other end told us, that the number I have called is actually the train depot’s and indeed they have some old steam engines and I could just go to the back and have a look 🙂 . So we went to the back, where we have seen a lot of old engines in a very bad (but original) shape. I think it is worth a visit, though, the old engines are quite cool 😉 . The road we chose was the Olt Valley (just between Transfagarasan and Transalpina) which is theoretically a fast road for heavy traffic going to the north (from our point of view) offering a nice view of the mountains from a lower perspective. The road, however, was neither fast, neither for photographers. The best views one can have is from the car, so there is no need to stop at any point. So you drive along, following the truck ahead of you barely reaching speeds of 60km/h and rely on your girlfriend to film the road and possibly catch some nice views along the way 🙂 . So, people who are responsible for tourism in Romania (or traffic): DO SOMETHING!